Andres Manuel Lopez Obrador, president-elect of Mexico, said Monday he will respect voters' wishes to stop construction on a new $13.3 billion airport. "Above all, we are happy that it was a democratic process that decided. Where there is democracy, there isn't corruption," Lopez Obrador, who will take office Dec. 1, told reporters Monday. "This decision is taken with absolute respect to the rule of law, without affecting the interests of companies or investors," he added, saying the "wise, intelligent" decision could save the government $5 billion. Although the referendum isn't legally binding, Lopez Obrador said he will respect the vote. Lopez Obrador stressed that upgrading the airfield with two new runways is technically viable, and said officials will try to shift the companies from the new airport to the new runways. His comments came after the Mexican association of businessmen, a guild of business owners known as Coparmex, had warned the plan to build a new airport lacked legal validity. Guild head Gustavo de Hoyos had warned Lopez Obrador hours earlier about the new airport's potential "damages to the economy resulting from an erratic decision". "We expect actions based on certainties from technical evidence and rational valuation of what is better for Mexico," de Hoyos said. He said Lopez Obrador showed moderation after winning the presidency in July and that he hoped that he'd also show similar moderation in "his first relevant message as president elect." La Vanguardia reported the referendum on the new airport was controversial. It ended Sunday after four days of voting. It was highly criticized because of a "lack of guarantees, lack of independent observers and no certainty regarding the vote count." The report also said it was possible for voters to cast more than one ballot. 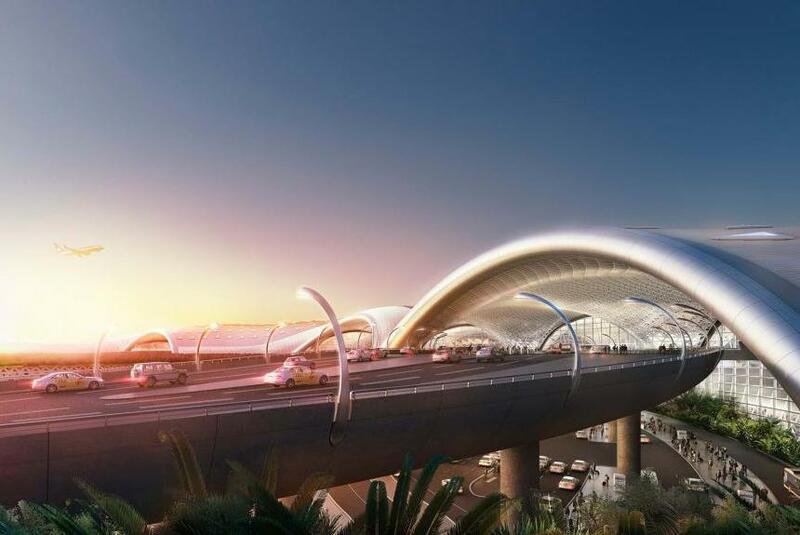 Bidding to move forward with construction of the airport was suspended in July while Lopez Obrador reviewed the entire process initiated by outgoing President Enrique Pena Nieto, Milenio reported. The new airport would have been completed by 2020.